With the festive season just around the corner, we shine the spotlight on four cracking continental Christmas markets you might not have heard of – all with links from Liverpool. 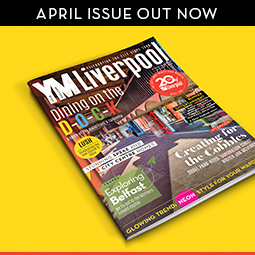 Back in August, twice-weekly flights launched between Liverpool John Lennon Airport (LJLA) and Norway’s second largest city of Bergen for the first time. The route will have been chiefly utilised by Norwegian Liverpool Football Club fans en route to Anfield, so the winter months present a chance for us to return the favour and send some Scousers to Scandinavia. A historic port city with a UNESCO World Heritage Site, Bergen boasts an amazing Christmas market. Taking place in the central Festplassen square surrounded by seven majestic snow-capped mountains, Bergen Christmas Market runs from 29 November until 22 December. 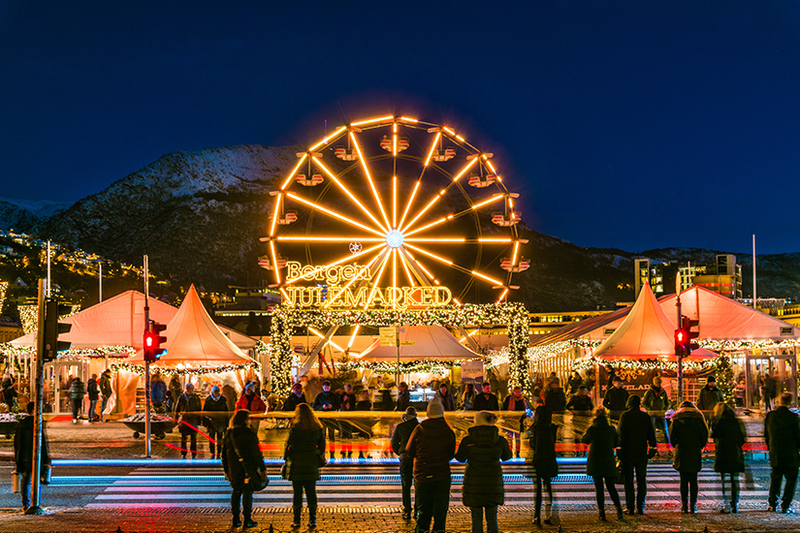 Featuring more than 60 stalls selling artisan gifts and local cuisine, Bergen’s festive market boasts activities that children and adults alike will appreciate including a giant Ferris wheel and a heated room where visitors can enjoy a steaming cup of authentic Norwegian gløgg. If that wasn’t enough, the world’s biggest gingerbread town is less than 10 minutes’ walk away. Open from 17 November until 31 December (closed Christmas Day), Pepperkakebyen is a miniature version of Bergen created entirely from the spicy brown biccies. Every year since 1991, nurseries, schools and businesses from across the city have been crafting mini houses, trains, cars and ships to help create a showstopper Paul Hollywood himself would be proud of. Think of somewhere in Poland and where springs to mind? 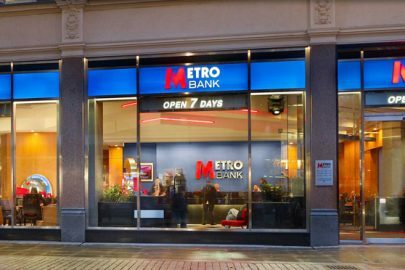 Its capital, Warsaw? Stag-do central, Kraków? Gdansk, maybe? I’m willing to wager it’s not Wrocław. 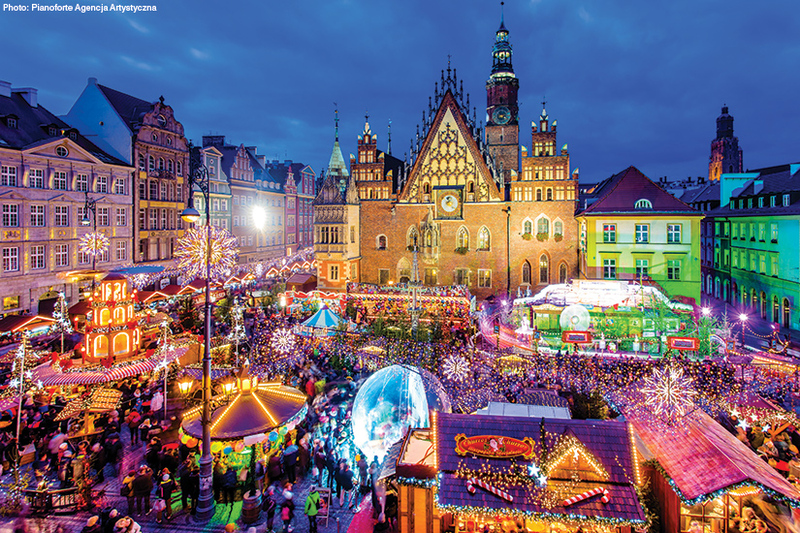 Pronounced ‘Vrots-wav’, the ‘Polish Venice’ – the city is spread across 12 islands connected by more than 100 bridges and gangways – boasts one of the country’s best-loved Christmas markets. From 22 November until 31 December, the medieval market square and surrounding cobbled streets are transformed into a winter wonderland filled with quaint wooden huts. You’ll find the usual continental market grub such as pancakes, churros and waffles, alongside proper Polish options like shashlik (kebab); finely chopped meat stewed with sauerkraut and fresh cabbage known as bigos; and Oscypek, a golden, spindle shaped smoked cheese made from salted sheep’s milk. 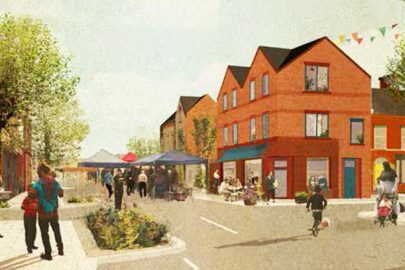 The little ones, meanwhile, will appreciate the market’s Bajkowy Lasek (fairy tale forest) where they can witness Brothers Grimm stories brought to life including ‘Little Red Riding Hood’, ‘Snow White’ and ‘The Brave Little Tailor’. Keep an eye out for the city’s mascots as well, unless you want a nasty bang on the shin that is. For perched in doorways, alleyways and on street corners are some 165 metal dwarves. The cheeky sculptures pay homage to Orange Alternative, an underground anti-Soviet resistance movement formed in the city in the 1980s which used the dwarf as its symbol. Train from Geneva Airport to Montreux takes just over an hour. Immortalised on Deep Purple’s iconic 1973 single ‘Smoke On The Water’, the Swiss resort town of Montreux doesn’t mess about when it comes to the festive season. 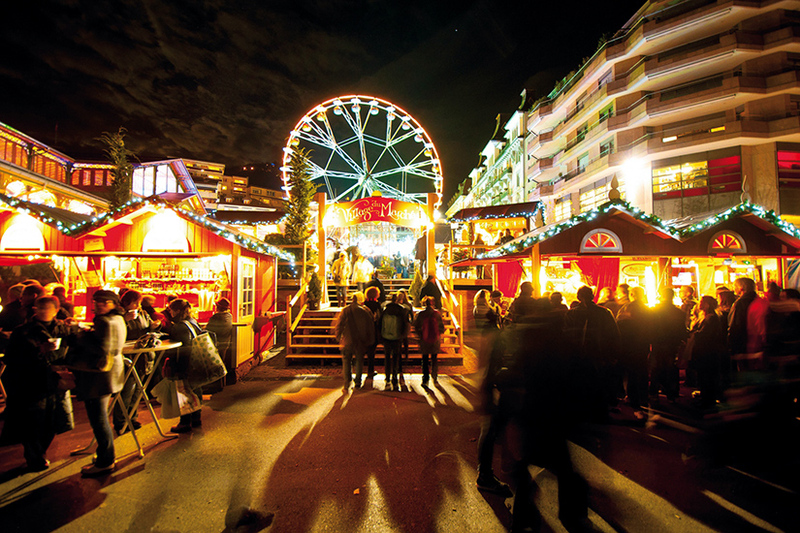 Now into its 24th year, Montreux Noël (22 November – 24 December) promises joy for all ages with its traditional Christmas market stretching for a kilometre along the town’s beautiful lakeside promenade. Discover 160 festively festooned chalet stalls selling crafts, gifts, mulled wine and more, alongside restaurants offering traditional cheesy Swiss dishes fondue and raclette. Enjoy workshops and shows in the fabled Chillon Castle, a giant 3D light show projected onto the Fairmont Le Montreux Palace and Santa’s grotto perched atop the imposing Rochers de Naye mountain. If all that wasn’t enough, grown-ups can party late into the night with live music and DJ’s at the lakeside ‘La Hot’ bar, grab a slice of wood-fired pizza in the ‘Lumberjack village’ or visit La Redoute House of Wishes for a direct line to old Saint Nick himself. No one loves a Christian celebration more than the Maltese, so naturally the festive season is a big deal on this miniature Mediterranean island. This year the historic town of Rabat will play host to the country’s biggest Christmas market from 7-13 December. 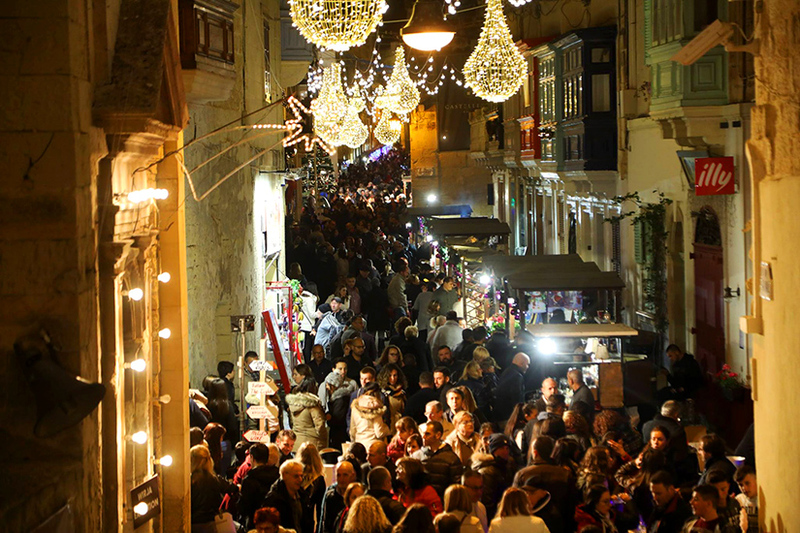 Organised by a dedicated group of volunteers, Natalis Notabilis – Malta’s Christmas Village – helps raise funds for the conservation and restoration of Rabat’s heritage. Around 100 stalls are expected to line the narrow streets and alleys selling the usual German market fare alongside traditional Maltese sweet treats like honey rings (soft pastry with a treacle filling) and Imbuljuta tal Qastan, a hot drink made using cocoa, chestnuts, cloves and citrus zest. Historic buildings will be hosting various festive activities as well, including the Nativity Trail within the Franciscan friary’s secret garden and the Natalis Notabilis crib exhibition located in a 500-year-old convent. Whilst you’re in the area, you’d be remiss not to visit nearby Mdina. The ancient walled city, a short bus journey from Rabat, was once Malta’s capital and according to tradition it was where, in 60 AD, Saint Paul resided after being shipwrecked on the island. The tiny city’s cobbled streets make a particularly beautiful setting for an evening stroll as lamplight illuminates its magnificent mix of medieval and baroque architecture.